St Peter’s Worship services: the second Sunday of the month from July to September at 7:00 pm: July 8th, August 12th, September 9th all at 7:00 pm and Christmas Eve at 8:00 pm. 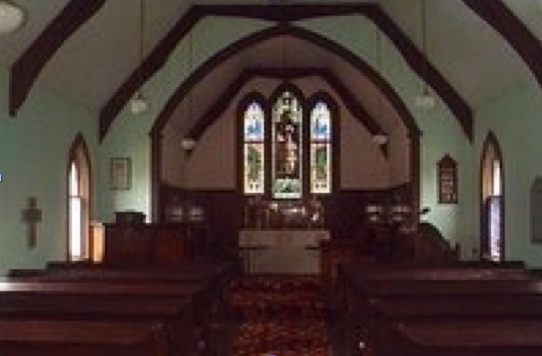 The picturesque red-roofed St. Peter’s Anglican church was built by “Father Pat”, Rev. 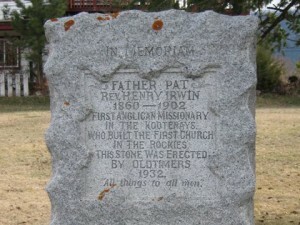 Henry Irwin. in 1887 at the town of Donald, near Golden. It was consecrated on February 24, 1889, by Bishop Shillitoe. 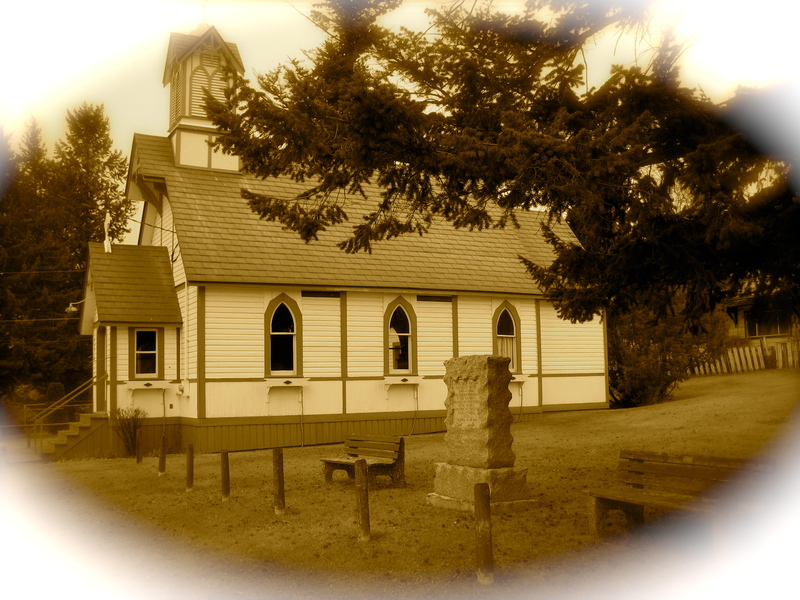 In 1897, when the CPR railroad moved it’s service yards from Donald to Revelstoke the church was dismantled with the intention of it be also being moved to Revelstoke. The Kimpton family, having themselves relocated from Donald to Windermere, arranged to have the dismantled church stolen from the rail-yards, transported by wagon and riverboat and then reassembled in Windermere. 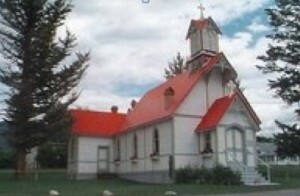 Located at the northeast corner of Victoria Avenue and Kootenay Street, the church is administered by the Windermere Valley Shared Ministry and the Diocese of Kootenay. Windermere residents provide lawn care, plant window boxes and maintain the building. Church services are held monthly in the summer and on Christmas Eve. The church is also popular for weddings with a capacity of 90-100 people. For information on services or using the church for weddings please contact the Windermere Valley Shared Ministry’s office at Christ Church Trinity in Invermere.